Zach’s research focuses on economics of information systems, open source software, B2B supply chain management, and applied game theory. His work has been presented on leading conferences such as ICIS, WISE and INFORMS. Currently he is working on the center’s research projects entitled “Information Risk in Dara-Oriented Enterprises.” He got his PhD in information systems from the University of California, Irvine. 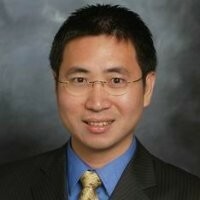 He also holds a master degree in finance from Tsinghua University and two BS degrees in operations management and computer engineering from University of Science & Technology of China.